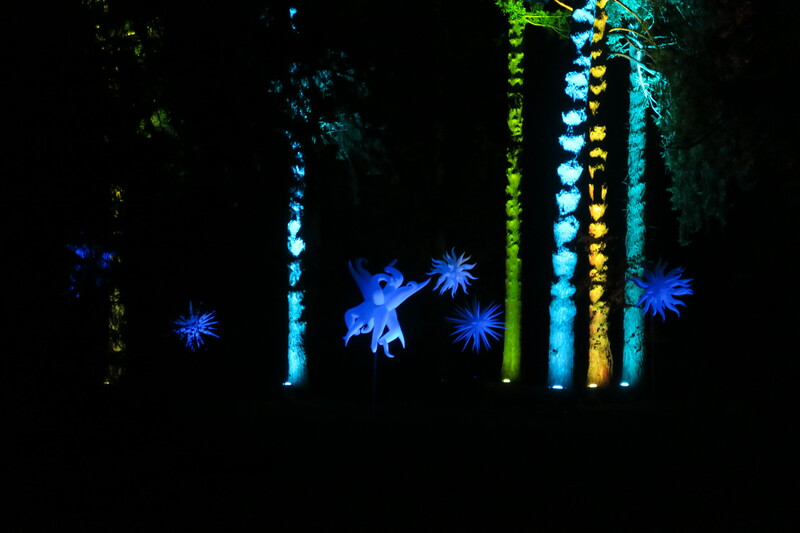 Last weekend we were invited* to visit the ‘Enchanted Christmas’ event at Westonbirt Arboretum and it sounded like just the thing to get us all in the festive spirit. We booked a 6-7pm slot and headed off on Saturday night wrapped up in our scarves and bobble hats. It made a nice change to do something out of the ordinary and the kids were excited to be going out instead of getting ready for bed. Just getting cosy in our winter gear felt festive! The drive to the arboretum was lovely, Tetbury in particular was stunning. 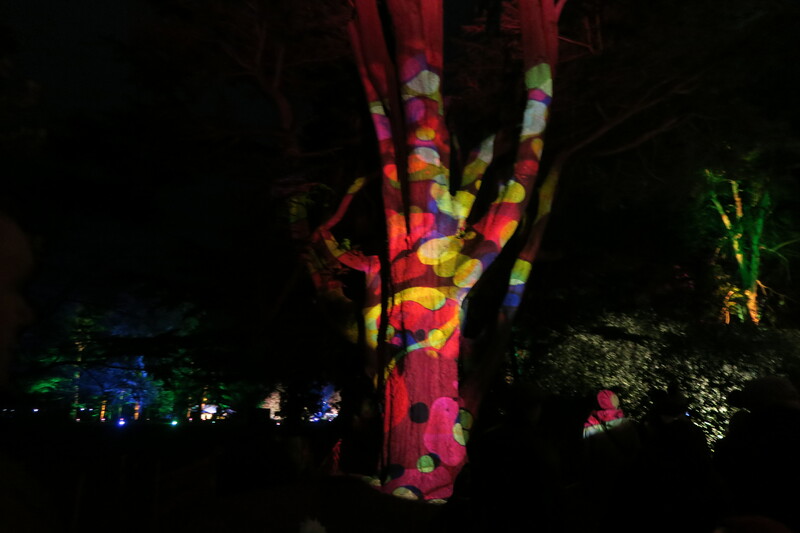 We couldn’t miss the arboretum entrance as the trees were illuminated in beautiful, bright colours. The clear skies that evening made it even more spectacular. The kids were fascinated and Florence loved the ‘sparkly’ tree in the car park. At this point I was thankful for my wellies as we were parked on a field and I should imagine, come the final weekend, it will be rather muddy so consider yourself warned! It soon became apparent that the event was extremely popular which made me even more excited to get inside and see what all the fuss was about. 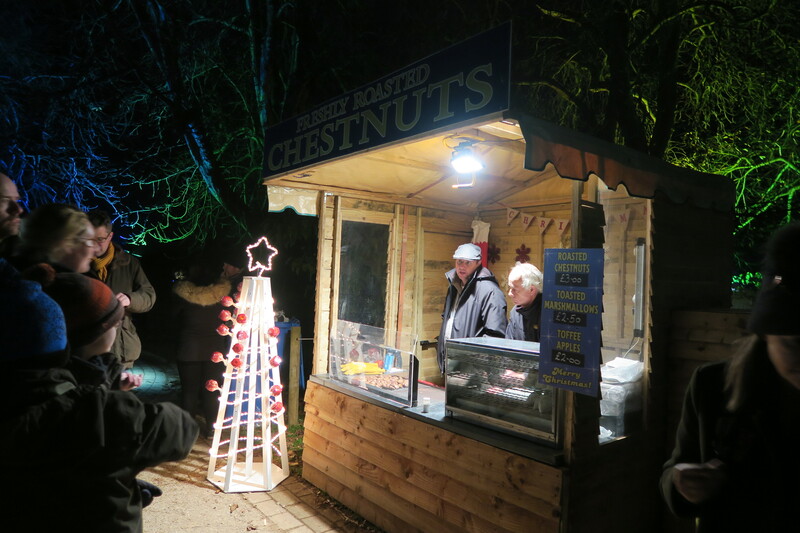 As the event is ticketed and time slots are booked for each evening the ticket processing was quick and we were soon on our way through a large marquee which housed a hog roast (the smell was amazing), hot chocolate, mulled wine, burgers and sweeties! It was lovely and the steam from the food billowed through the air whilst Christmas carols could be heard in the distance. The kids spied a carousel and we promised them a go once we’d walked through the illuminated trail. I guess we bribed them! Initially the trail was very busy and it was a job to see the kids amongst all the people. I was probably annoying everyone as I stopped at almost every single tree to take a photo. Each one was stunning in its own way. Some were lit from the ground, some were lit from various other angles, some had disco balls hung inside them and some had lanterns or projections cast across them. The kids favourite tree was ‘disco tree’ which had a huge disco ball and bubbles falling from it. By the half way point we were ready for a short break. Elsie also needed a feed so we were pleased to see a few benches and we perched, under lanterns, enjoying the scenery. There were a few areas which are interactive such as a bike which, when pedalled, illuminated a large display of lights across the floor and also a pad which you jump on to clear the leaves on the screen in front of you. All of these sorts of things were a hit with the kids – you’ll just need to be prepared to wait your turn. All in all the trail took about an hour for us to walk around (including a 15 minute break) and the kids must have enjoyed it as we didn’t have a single complaint of ‘tired legs’! The trail was suitable for our pram and I think Elsie enjoyed looking at all the colours as it was well past her bedtime and she was wide awake! At the end of the trail the sound of Christmas carols comes back into ear shot and there are chestnuts roasting and arts and crafts for the children to take part in. We spent about two hours at the arboretum and we left feeling rather festive. I think if I were to go again I would buy some food there (we ate before leaving home) and use the opportunity to soak up more of the atmosphere. 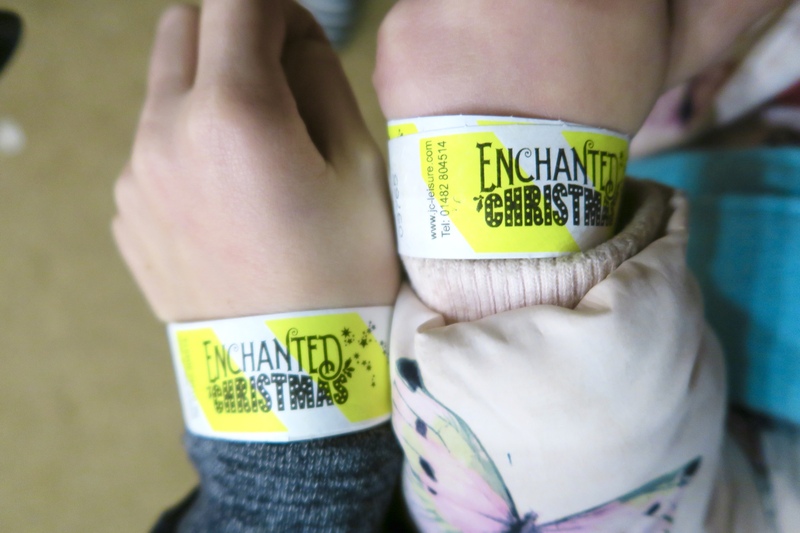 Enchanted Christmas runs from 25th November to 18th December and tickets can be booked via the website. *We were invited to attend this event in exchange for a review. All opinions of this event are my own.